The 10 characteristics of likeable people - Are you one of them? Home / Motivation / The 10 characteristics of likeable people – Are you one of them? Likeable people can win you directly. Looking at someone in the eyes or speaking with them, you quickly feel familiar and positive feelings are created. Is it really a charisma the way that a person can earn the liking in their environment? Let’s examine the 10 main characteristics that make some people more likeable than others. 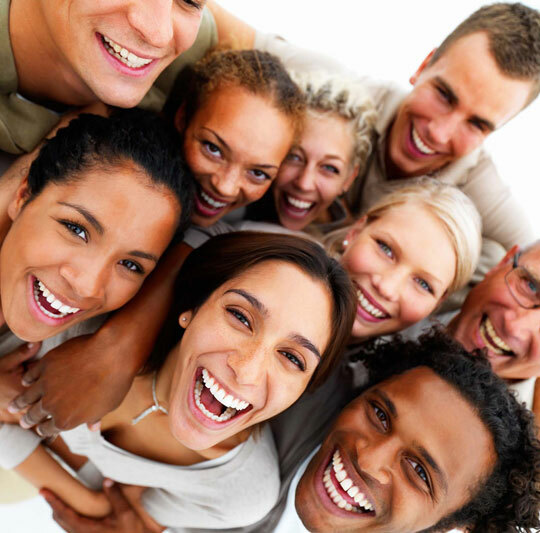 Likeable people bring out a positive mental attitude and face everything with a smile. This does not mean that they behave with naivety ignoring the difficulties; on the contrary, they act consciously and try to cope with everything having a positive attitude. This means that they try to find the best possible direction to a problem, rather than grumble. People, who are generally considered likeable, recognize everyone’s efforts for the best. They do not criticize anyone and treat everyone with the same respect. People, who are open to different ideas and new ways of doing things, are usually likeable. The reason that makes them likeable is the willingness and the desire to learn and experience new things. These people, seem open even from the tone of their voice or the way they use the language. Honesty wins immediately everyone around you. Those who are especially likeable, base their relationships on trust and deep moral. All the above occur as a result of the degree of a person’s sincerity. One of the characteristics that can make a person likeable is the down to earth and human character. In other words, people who can say, “I don’t know” and are able to admit their mistakes or show a different side of themselves, they earn the respect of others. Those who bring out a leading aura, induce faith to people working with them. They believe that they are capable of great achievements and wish to follow their example. The value of a proper dialog, is both to talk and listen as well. In fact, there are continuous misunderstandings when there are interruptions and for this reason, good listeners earn the sympathy of everyone. A good listener, can become the support when a person close to them wants to talk. Good listeners in this way earn sympathy. If you want to become good listeners, be sure to maintain eye contact while you talking, try to get in the shoes of the other person, and show that you are paying attention by asking questions. Individuals who earn sympathy, focus on what they can do for you and not for themselves. They try through discussions to help you, not to be helped or show off. It is not the easiest thing, since everyone perceives jokes in a different way. By making the people talking with you laugh, they look up to you. The generous offer of smile is the “ticket” to become likeable to those around you. It is no coincidence that there are many, who find people with humor besides likeable, attractive as well. A good exit causes a sensation and wins impressions. The handshake, the touch on the shoulder or the hand and an honest sentence while leaving wins and can seal an acquaintance in the best way. Made me laugh how I read every single one of these and I am every single one, I just call it being nice!